DRI International fue fundada en 1988 como una organización sin ánimo de lucro con la misión de preparar el mundo. Como el organismo global de educación y certificación en Continuidad de Negocio y Recuperación ante Desastres, DRI establece el estándar para los profesionales de planificación de continuidad de negocio. Las credenciales de DRI aseguran que empleadores saben que un candidato entiende los principios de la continuidad de negocio. Es la única certificación que exige la obtención de conocimiento actual por la educación que continua. DRI International organiza eventos importantes de la profesión en todo el mundo y ofrece programas de entrenamiento y alianzas con universidades. A few months ago, you might recall that DRI Canada asked you to participate in a survey on how we can improve and grow our organization. There was a lot of good feedback, but one thing came through loud and clear … you want to hear more about what’s happening. Improved communication came out at the top of the list for things we can improve. We heard that message, and that’s why we’re launching Thrive! Canada – DRI Canada’s new publication about continuity management in Canada. Thrive! Canada is going to be about telling you what’s happening with DRI Canada, but it’s also meant to be the starting point of a dialogue about our profession and how we can continue being a leader for Business Continuity and Disaster Recovery. Every day, DRI Canada certified professionals are at the forefront of continuity management in Canada. They’re doing innovative and creative things to build more resilient organizations, and Thrive is a chance to share that good work and smart ideas with our peers. DRI Canada is a not-for-profit organization, and that means the focus of everything we do is on members like you. Thrive! Canada will give us a regular opportunity to let you know what we’re doing at DRI Canada to give you more for your membership and to increase the value of your certification. But it’s also a chance for you to talk to your peers about what you’re doing and what you think is important. Consider this an open invitation to be a contributor to TThrive! Canada. If you have a project, story idea, interview with a leader within our profession, or perspective on an emerging issue, please contact perry@dri.ca or click here for submission guidelines. Once you’ve done the writing, we will share your work with your community of DRI Canada-certified peers. Thrive will be published in English and French, and we welcome contributions in either of Canada’s official languages. I hope you will enjoy hearing about what DRI Canada and our certified members are doing to lead the continuity management profession in Canada. Every day, you’re doing things that builds the resilience of your workplace and community. I’m excited about the chance to share those stories through Thrive! Canada, and welcome you to be a part of it. 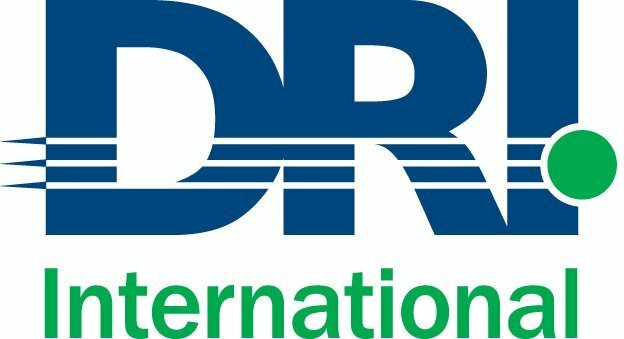 As part of Disaster Recovery Information Exchange Toronto’s (DRIE Toronto) 30th Anniversary celebration, DRI Canada was presented with a sponsor appreciation award. Last year DRI Canada made a commitment to support all Disaster Recovery Information exchange chapters, EPICC and RECO with annual financial sponsorship support. Ten years ago, I was working with in Winnipeg with the provincial government’s Emergency Measures Organization. A decision was made to invest in a government-wide Business Continuity Management program, and I was assigned to lead the project. My background was the planning and response to civil emergencies like floods and fires. BCM was big, different, and confusing, and it was obvious that our team needed to start with some training. DRI Canada provided that, and by the end of BCLE 2000, we had a group of people who understood how to tackle the job. DRI Canada was the starting point in a successful project, but that’s not the reason I started volunteering with DRI Canada. I began volunteering once I saw how the training we learned made a real difference to public safety. As plans were developed, they were eventually exercised and activated, and I came to see first-hand how BCM is critical to our public safety. It keeps people at work; it ensures our most vulnerable people get assistance; it maintains the infrastructure that keep people safe and moving; it ensures the resources are in place to help our community during a crisis. For me, this is at the core of what DRI Canada does as a not-for-profit. Our work to support BCM gives people and organization the tools they need to make our community – at the local, provincial, and national levels – a safer place. Through our work, we make sure that professionals can grow and develop into leaders that will guide us through the ‘worst case scenarios’. Those kind of emergencies and disasters will involve a lot of people and a lot of agencies. Through the work we do at DRI Canada, we are supporting people and organizations to get them through those situations, and to take care of those who depend on them. I’ve seen first-hand what a difference it can make when that knowledge is in place, and that’s why I volunteer with DRI Canada. A recent survey from the Canadian Education and Research Institute for Counseling (CERIC) found that while 71% of employers agree they have a responsibility to provide career management programs for their employees, only 29% actually offer them. There is a huge gap in the skills training that workers need to move up the ladder and the training they are actually being given by employers. Continuing education institutions play a large role in filling this gap. At the G. Raymond Chang School of Continuing Education at Ryerson University in Toronto, we see professionals from all disciplines who are passionate about learning, and who are looking for the newest information or skill that will lead them to the next big break in their career. Schools offering continuing education must stay ahead of the curve to deliver education that is meaningful to employees, their employers, and the future of the workplace. Here are what I believe to be the 5 hottest trends in continuing education in Canada in 2015.
proximity out of the equation, allowing working adults to choose a course or program that is best suited to their needs – whether it’s from an institution next door, across Canada, or even in a different country. More students will continue to move online for their training and development. 3. Intrapreneurship. The idea of behaving like an entrepreneur while working within a large organization is gaining ground. At businesses large and small, more hiring managers are looking for individuals who have an entrepreneurial mindset –or “intrapreneurs.” We need to teach students across all disciplines the creative, self-motivated, and “gogetem”attitude and skills that make entrepreneurs successful, and show them how this mindset will help them get ahead in the corporate environment. institutions, to ensure that we’re preparing students for today’s jobs and the future. need for trained professionals who are equipped to deal with the increasing number of emergencies associated with climate change. in Data Analytics, Big Data, and Predictive Analytics is very popular as companies are looking for skilled employees who can manage and interpret large data sets to help make better business decisions. Trends in continuing education must echo the needs of the Canadian workforce. By delivering strong professional development to working Canadians, we can ensure our skills are best matched for the jobs available. Reproduced with permission from Workplace Today® Inc. (www.workplace.ca) ©2016 All rights reserved. Will I get my paycheque? How well prepared is my payroll team? Paying employees, pensioners and contractors is a high priority in the development of any business continuity plan, as part of the business impact analysis phase. Without a paycheque, employees may refuse to work, and without a workforce, the business cannot continue. In addition, the supporting human resources may question the ability of their employer to continue to pay them in the future, further undermining their confidence in organization. Loss of any key business area (facilities, information technology, people, and business processes including supply chain) in the activation of a holistic continuity plan can have significant negative repercussions. Not fully assessing the risks associated with such losses and addressing possible recourse is a major plan weakness. In the spring of 2009, a pandemic suddenly moved from risk to reality when the threat of the influenza A (H1N1) became immediate and very real. Many organizations had not previously considered the development of a business continuity plan a priority when they suddenly had to ensure that this new risk was properly addressed. However, many of them had also never developed in-house expertise to develop a continuity plan or the associated pandemic plan. A pandemic plan is a subset of a business continuity plan and part of a business continuity management program. Without proper business continuity management programs in place, many organizations scrambled to develop pandemic plans, including continuity plans for payroll operations. Human Resources departments were directed to take charge of an area in which they had little expertise other than routine health and safety practices. For those tasked with development of a pandemic plan, confusion reigned. What was needed to prepare a pandemic plan that was sufficient to “deliver to the Board” without taking on the larger task of implementing a business continuity management program? Would the pandemic plan work without the other supporting pieces and parts? In November 2009, the Canadian Payroll Association (CPA) held a well-attended web seminar on pandemic planning for its members. The seminar explored the importance and necessity of business continuity and pandemic planning, as well as best practices among payroll practitioners and organizations. The goal was to help attendees be better prepared if the H1N1 pandemic becomes worse or employee absenteeism impacts their ability to deliver a timely and accurate payroll. Over 700 people attended the seminar. As part of the web seminar, the CPA conducted a survey to assess pandemic readiness among participants. The following results are revealing, illustrating the state of readiness of most organizations as a whole, as well as in a business process sector such as payroll, which is considered critical. Does your organization currently have a corporate-wide business continuity management program to ensure plans are developed and kept current? The majority (59 percent) of survey respondents say either their organization does not have a business continuity program or they do not know. Does your organization currently have a specific payroll continuity plan? More telling is that the only 40 percent of respondents are confident that their organizations have a business continuity plan for payroll, despite it being a mission-critical function in all organizations. Has your organization developed specific measure for pandemic planning or major loss of human resources? Only 37 percent of respondents indicate that they are certain that a pandemic plan is in place and that it deals with a major loss of human resources in the workplace. Particularly in light of the H1N1 pandemic, continuity planning is a pressing issue that organizations should address. The good news is that of those organizations with plans, most indicate that it is a comprehensive plan, addressing many interdependent functions as well as outsourced providers and suppliers. Information technology is a particularly significant area for risk assessment. With the immense amount of automation in financial processes and procedures, the process required to enact a full recovery and validate information should be explored in depth. If you use an off-site payroll provider, are you aware of their payroll continuity plan and/or pandemic planning measures? Transfer of risk is often a strategy employed by many industries and governments. In the payroll process, this normally involves transferring part of the process to an outside vendor, such as time and attendance management, benefit deductions and calculations, production of deposit slips, and gross-to-net calculations. A staggering 60 percent of respondents state their outsourced providers or suppliers do not have a business continuity plan or pandemic planning measures in place. Only 16 percent are aware of their providers’ plans and can be confident that they will be able to deliver a timely and accurate payroll in the event of a pandemic. Does this mean the majority of organizations are not transferring risk responsibly or are burying their heads in the sand? This lack of communications between organizations and their payroll providers represents a huge gap in many business continuity plans. Have you had to utilize your payroll continuity plan and/or pandemic planning measures? When asked whether they have used their payroll plan or pandemic plan, only 6 percent indicate yes. Over a quarter (31 percent) say they do not have a plan or are still in the planning process. This lack of planning indicates the low priority some organizations are placing on business continuity process; they risk being caught unprepared. Current business continuity management thinking is that pandemic plans should be activated commensurate with the level of impact and risk to the organization, rather than based on World Health Organization (WHO) alert levels. For the 56 percent who have not implemented their plans, are they relying on the WHO for the signal? If so, is it a good decision to associate their plans with another organization or should they be defining internal risk monitoring and management triggers instead? Did you provide any information sessions for employees with respect to H1N1/pandemic planning? Communications is a fundamental portion of any comprehensive pandemic plan, and once again, the results are a bit alarming. Well into our second wave of the H1N1 pandemic, only 39 percent of respondents have held employee information sessions; 12 percent are still planning to do so. This lack of communication does not help inspire employee confidence in corporate leadership. Taking a step back, there is still much work to be done in developing continuity plans for the payroll process. A cookie-cutter approach is not effective, as every organization has its own way of doing business and managing risk. Payroll continuity plans, like corporate-wide business continuity plans, can be quite different depending upon process design. A standard template will not really give you an effective plan. Business continuity management is an ongoing process, and it is seldom a high priority until it is too late. Day-to-day activities and demands eclipse the need to effectively manage risk and do a good job on those quality management areas like business continuity planning. However, many unexpected events, such as infectious diseases, forest fires, floods, criminal activity and power outages, can impact payroll and other business processes. Organizations must be prepared if they intend to prosper. So take business continuity planning off the bottom of your to-do list and start the process today! Ann Wyganowski is a Master Business Continuity Professional (MBCP), and Certified Business Resilience Manager (CBRM) and Member of the Business Continuity Institute (MBCI), all of which are internationally recognized designations in the field. Ann sits on various emergency management and business continuity boards as a volunteer and is the Treasurer of the Disaster Recovery Institute Canada. She is a recognized senior consultant in the industry with a prosperous consulting practice. You can contact her at ann@bcphelp.com or visit bcphelp.com. Climate change is here, but is your Business Continuity Plan ready? With the increase in climate change impacts, such as flooding and power outages no one wants to be “closed” losing clients, reputation and revenue. Many organizations understand that it’s important to be prepared for unforeseen business disruptions, yet are unsure how to develop a plan that will carry them over the finish line. A policy statement should exist that clearly assigns responsibility for the Business Continuity Management Program governance at a senior level, and the responsibilities for preparing the plans to assure that critical processes and services are maintained. If the job descriptions don’t exist, the work won’t get done. Tenants expect their facilities manager to have plans in place to protect their assets and to continue services which they may deem critical at the time of the disruptive incident. Once the emergency management phase is over, and people, the environment, and property are made safe, the business continuity process kicks in with a focus on the most critical and time sensitive processes and services. With only 9% of small business reporting that they have continuity plans, if a tenant population is largely SMB, the facilities manager can expect a lot of confusion at the time of the incident and should be well prepared with a leadership focused communications plan. Advance communications to the tenants to help them understand the scope of your plan, how and when communications with them will take place, and the fact that they are responsible for developing their own plans can go a long way to shorten recovery times. It’s critical to right size the effort and keep the plans simple enough to be understood by those responsible for carrying them out without creating a maintenance nightmare. Basic checklists of the steps to be followed, standardized damage assessment forms, clear instructions for communications protocols and associated timing are key ingredients. Contact list details should be maintained separately so the plan doesn’t become a phone book with names and phone number interspersed throughout the documentation. Performing both and internal and external risk assessment assists in developing the appropriate plan content. This is not to suggest that a plan should be developed for each and every risk scenario identified, but to ensure that one all hazards checklist is sufficient in scope to address various sizes and shapes of business interruption. Ensuring that the responsible executives are aware of the risks, potential mitigation strategies, or that they chose to accept the risk is an important step. Many tenants may not understand that their computer room does not have fail over emergency generator power, for example. They know the building has a generator and simply assume that means they will have power in an outage. Prioritizing business processes and services is an important step in plan development because it helps generate an order of recovery. Those priorities and timelines are also key to development of the information technology recovery plan (IT Disaster Recovery Plan) that supports the Business Continuity Plan (BCP). The BCP documents how the processes and services will be recovered using alternate space, other supporting resources, or manual work arounds. The IT DRP documents the procedures for recovering the technical infrastructure and environment. Plan activation requirements are difficult to clearly define as every incident varies in size and scope. Pre-activation of plans may take place in advance of severe weather, for example, so work can be transferred to alternate locations before the disruption occurs. Simple decision trees can assist those responsible rather than trying to grade the level of disaster. Carrying out regular exercises of the plan helps to keep it fresh and content updated. Testing the plan at the time of the incident should be avoided, as there may be many gaps which haven’t been addressed. With a bewildering array of tools and templates available on the internet, it’s often hard to understand where to start, or how to apply the downloaded documents. There are some degrees that approach and methodology can be deployed in multiple environments. However, that must be tempered with the fact that every environment, organization, business and group of people is totally unique. Consultants can use an existing framework that they may have successfully deployed in the past to facilitate various BCP implementations. However, the unique set of priorities considered by one organization may not fit the next group the consultant works with. The consultant may have a cross business viewpoint which can help their customer understand how to model their business impact analysis and process prioritization; however BCP is not a “one size fits all” exercise. Using an experienced consultant can result in spending a little to save a lot. The most important result should be knowledge transfer as the plan belongs to the organization preparing it at the end of the day. There are workshops available for small business, as well as courses offered by the Disaster Recovery Institute Canada. Help is out there to get the plan done and be better prepared; when clients ask about the BCP, be ready to say it’s in place. A consultant in our unique industry is often faced with many major challenges. As a person usually versed in the risks and issues understood by the business continuity and emergency management community how do we convince others that those risk might actually be real, prevention measures are in order, and an action plan needs to be in place should they occur. What might constitute a good project plan – how detailed do our goals and deliverables have to be? What the consultant needs to consider is also unique to each engagement. Your reputation is at stake. How well positioned are you to succeed and complete the assignment with a happy customer and good reference for future work? If your customer is not willing to support you in the needed areas, the resulting outcome could impact your reputation in the industry. Many small to medium sized business folks who need to engage a consultant are not quite as familiar with working with an industry expert or “outsider” as those people with the same roles within a large multinational group who might regularly use consultants. How you work together to position the project to succeed may also impact your reputation. How ready are you to back out of an agreement, or accept you have taken the wrong direction? Contractually how easy is it to say goodbye? Each customer environment and concerns are very different. A consultant has to be flexible and creative. Typical project activities and templates need to be adapted to the unique environment that you are working in. Typical areas that need close analysis include the risk assessment / business impact analysis process. Each customer is totally different. How you might prioritize their business can have totally different drivers. This can range from facilities and IT dependencies, to the key human resources and knowledge holders who are essential to business or organization survival. What makes a consultant different? Usually a consultant has an objective view point, without an interest in company or organization politics. As an expert, it’s necessary to distance your report from “opinions” and those internal politics. A consultant must be neutral, but fair. Opinions expressed should reflect a balanced and judicious view, based on industry best practices. This report as a distanced individual reflects on your ability as a professional. Tact and measure must be the consultant’s constant companion; however the obvious plan faults and shortcomings must be highlighted and prioritized. All key areas that are the customer’s main concern must be addressed in a diplomatic way. These should be identified up front with the customer and a framework for the report outcome defined. Each customer has its own corporate culture and communications environment. How they will want to craft key messages to push out across their organization may also be quite different from customer to customer. Some will be “high tech” and prefer to communicate in a web based fashion, while others might feel the most effective messaging might be through direct manager communications or hard copy desk drops. Can you make business continuity tools and template repeatable? Can a consultant come in and just implement their existing tools and templates to make it easy for us? There are some degrees that approach and methodology can be deployed in multiple environments. However, that must be tempered with the fact that every environment, organization, business and group of people is totally unique. Consultants can use an existing framework that they may have successfully deployed in the past to facilitate your BCP implementation. However, the unique set of priorities considered by one organization may not fit the next group the consultant works with. The consultant may have a cross business viewpoint which can help their customer understand how to model their business impact analysis and process prioritization; however BCP is not a “one size fits all” exercise. No typical workgroup has that cross functional view, or breadth of experience. That is where a consultant can provide some deep understanding of what is going on across the industry or country. I’m a consultant and I love the variety, the challenge or working across many customers, the variety of customer environments and the need to analyze how BCP can best become a competitive advantage to support their team. In selecting a consultant, I hope that presenting the various dilemmas faced by the contractor and the consultant will help all to work together more cohesively.